For the wilderness experience of a lifetime, you need to stay at one of Mozambique’s exquisite game reserves and go on safari daily. You need to see Gorongosa National Park, Niassa Wildlife Reserve and Maputo Elephant Park – all offering spectacular game viewing opportunities and accommodation. Taking a safari holiday in Mozambique is becoming extremely rewarding because the wildlife areas are finally recovering after years of civil war and destructive hunting. Visitors to Mozambique game reserves can only feel complete contentment in these pristine wildlife areas, where the biodiversity is still intact and ongoing research takes care of the habitats and animals. 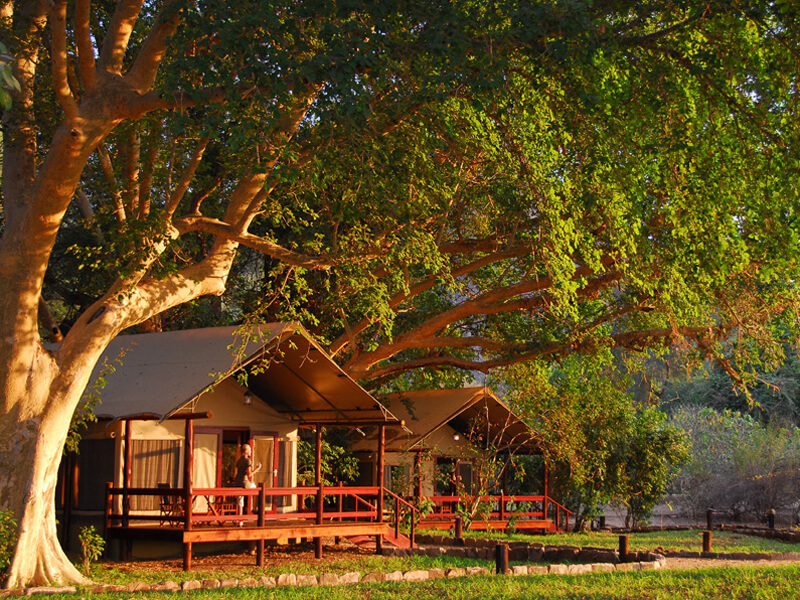 We know that accommodation in these Mozambique parks is being reconstructed and rejuvenated so that luxurious safari lodges and camps today offer visitors wonderful bush facilities. So contact one of our safari consultants to plan your trip into paradise. Take Gorongosa National Park, accessible after a three hour drive from Maputo –fast becoming the wilderness area of the moment. Mozambique’s flagship conservation area, this beautiful piece of Africa includes the Urema valley and surrounding midlands between Chimoio and Beira. Further north near the border of Selous National Park in Tanzania, Niassa Wildlife Reserve is even larger than South Africa’s Kruger National Park – a huge area of thick bushveld, home to diverse predators and their prey. This is probably one the largest conservation areas in the world, stretching an amazing 40 000 square kilometres! Lucky game viewers may see some of the 12 000 elephants, 9 000 sable antelopes and rare African wild dogs. This is a true paradise for real safari explorers! Stay at the beautiful eight tent Lugenda Wilderness Camp, luxurious yet rustic and nestling under huge fig trees on the banks of the Lugenda River, with private decks and huge vistas. In the south and north of Ponta Malongane, find the spectacular Maputo Elephant Reserve where the main attraction is the huge herds of up to 300 majestic elephants. Explore 50 000 hectares of lakes, floodplains, mangrove swamps, forests and dunes leading to the sea! A Mozambique safari can start at any lodge on the coast as these offer tours into the interior to see these fantastic parks.